I'm working on a party...and it's completely taking all my time. You will love it I promise, so while I'm working my fanny pack off planning this party, I am going to show you a party you may have missed. Let's look back at a fan favorite party - the Indoor Picnic. Most of you would have the courage to host the picnic, well, outdoors. I'm really not much of an outdoor party girl, maybe it's because I can't control the weather, or maybe I want to get things set up waaaay early, or maybe...goodness knows there are lots of reasons!! Whatever it is, I decided to have an INDOOR picnic. (Ladybugs and ants were flown in from the most beautiful picnic parks in the world). At this picnic, we'll have a great time! 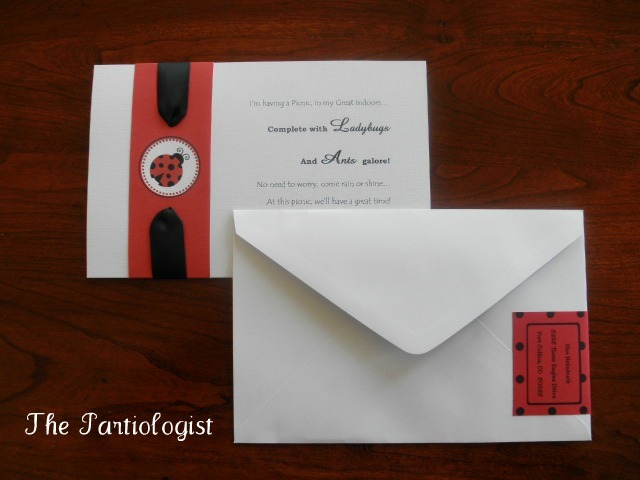 I used wrap around polka dot address labels I ordered from Etsy. 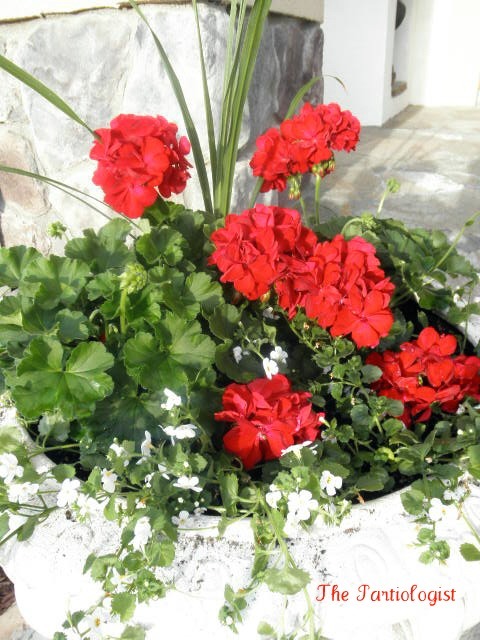 I had flowers planted in my urns out front~my challenge was to keep them watered all summer long! 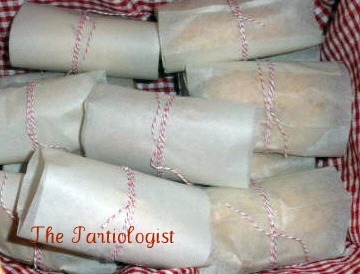 With cupcake picks that read "Welcome Ladies"
I wrapped up each little 7 grain roll in parchment and tied them with twine. 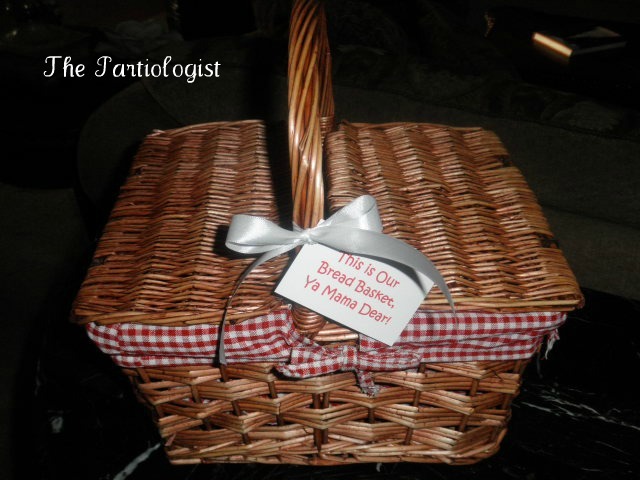 I don't know about you, but if I just had a basket of bread, I would be happy....and full! 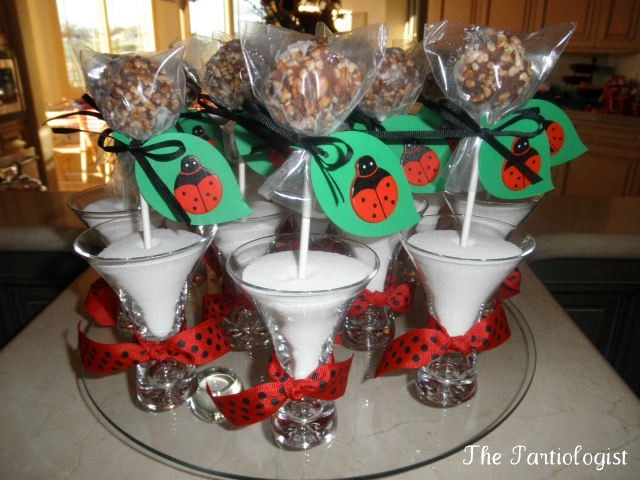 Chocolate Cheesecake Truffle Pops, what a fun park these ladybugs came from! 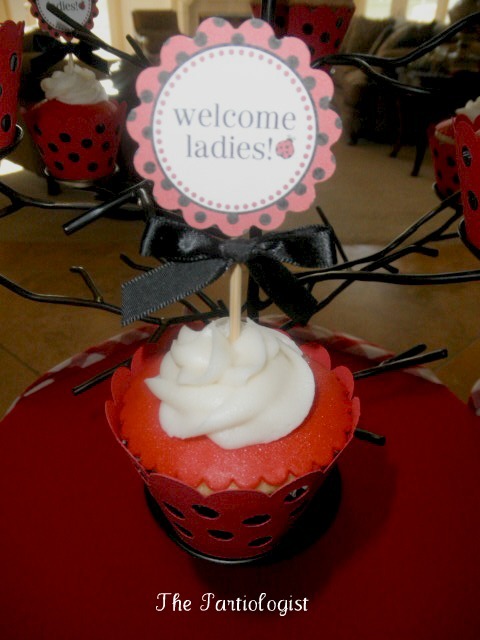 I made the leaves with my Cricut and bought wooden ladybugs from HL, glued on the leaf. Punched a hole and tied to the cheesecake pop with ribbon. Displayed in sugar filled glasses. Over on the counter was the perfect Ant I Dote! Sorbet in frosted glasses then topped with Asti! 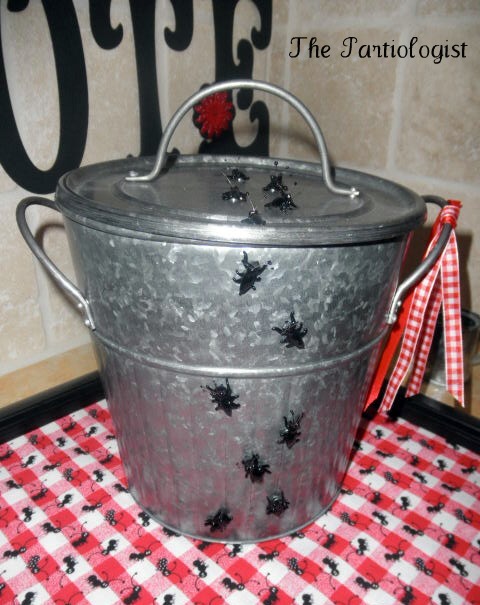 Did you notice the ants crawling up the ice bucket? They crawled right off the fabric onto the ice bucket!! I told you there were ants galore!! I c'ANT wait to show you more! So cute. I love the ant covered fabric! It is just adorable! I'm sure it was a fun party! Thanks for sharing your cute ideas! Your indoor picnic looked like a wonderful time with fabulous treats. 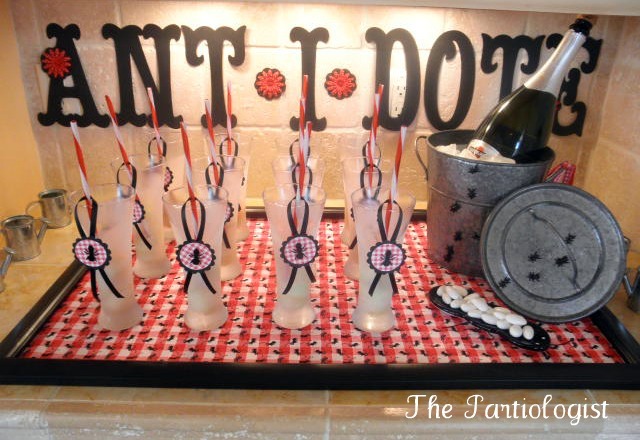 I love hpw you placed the ribbon on the glasses just high enough over the rim for a straw to be placed through. Very nice touch. Everything looks great and yes, I did notice all the *ants* crawling up the ice bucket :) and I love your little watering cans shown on the left of the photo. It's 3:45 a.m. and I can't sleep...this is a fun way to spend my early morning! Just looking at your great ideas.